It looks like the final specifications along with a few more custom models of NVIDIA’s upcoming GeForce GTX 1650 graphics card have leaked out. The leak comes from the site, benchmark.pl, who have listed down not one but four different custom models of the card along with detailed specifications. The NVIDIA GeForce GTX 1650 specifications have been detailed before but we didn’t know the exact core count until now. According to the source, the NVIDIA GeForce GTX 1650 will feature a new Turing GPU SKU known as the TU117 which will be one tier below the TU116 GPU we got on the GeForce 1660 Ti and GeForce GTX 1660. It would feature a total of 896 CUDA cores which is 128 cores more than the GeForce GTX 1050 Ti. The card would also feature 56 TMUs and much possibly 32 ROPs. Considering that there’s a huge gap in between the GTX 1650 and GTX 1660 core specs, I am pretty sure that a Ti model would also be in the works which may launch later on. Now coming to the rest of the specs, we get 4 GB of GDDR5 VRAM running across a 128-bit bus at speeds of 8000 MHz (8.0 Gbps effective) which means a total bandwidth of 128 GB/s. There’s also a 75W TDP which means that most cards won’t require an external connector, however, manufacturers who want to hit high clock speeds may opt to use a 6-pin connector on some of the beefier custom models. 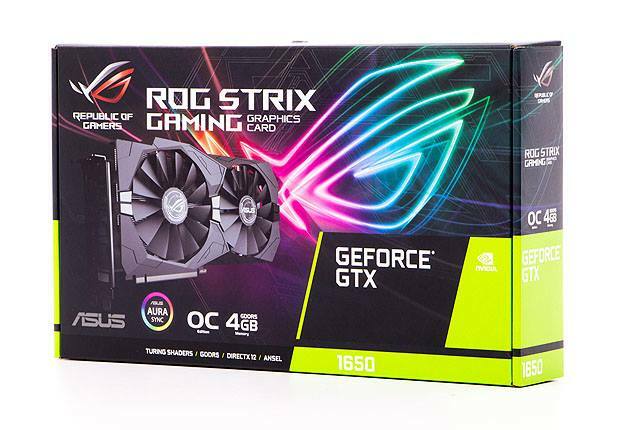 Talking about custom models, we have the ASUS ROG STRIX GeForce GTX 1650 OC Gaming card which is a dual slot design and features HDMI 2.0b and DisplayPort 1.4 outputs. The card is a dual slot design featuring dual wing-blade fans from ASUS. The card has a maximum boost frequency of 1725 MHz and doesn’t require external power to boot. Next up, we have the ZOTAC GeForce GTX 1650 OC which comes with a single fan, dual slot design and should also not require an external power source. The card features DVI-D, HDMI 2.0b and a DisplayPort 1.4 output. 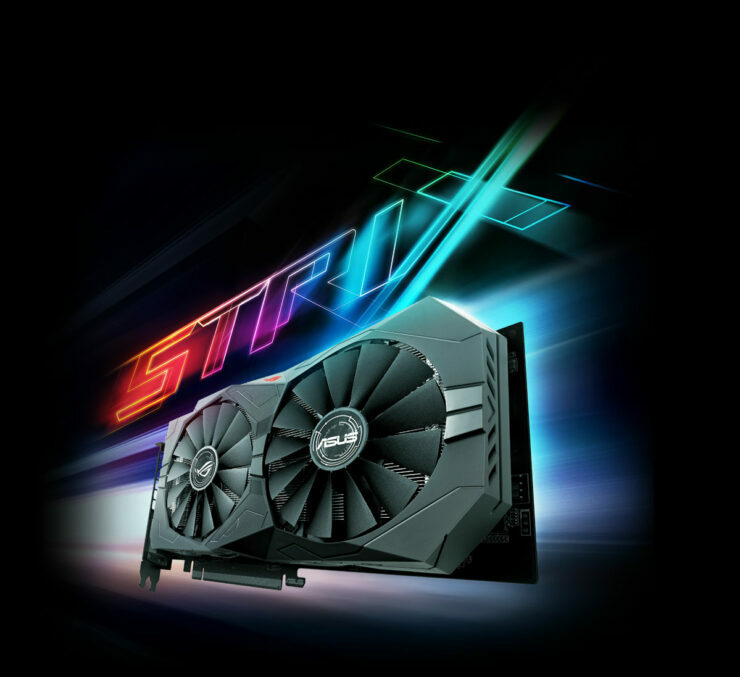 Specifications are similar except the card would operate at a slightly lower boost clock of 1695 MHz if compared to the ASUS ROG STRIX model. The Gainward GeForce GTX 1650 Pegasus OC and Palit GeForce GTX 1650 StormX leaked last week and have once again been confirmed with their specifications. The Palit model operates at a boost clock of 1655 MHz while the Gainward model operates at a boost clock of 1725 MHz. These cards are expected to arrive next week as previous rumors have stated so stay tuned for more news in the coming days.